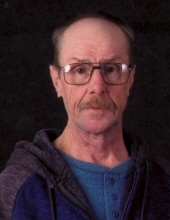 Ricky Dale Hamilton, 62, of Gary WV, passed away Sunday, April 14, 2019 at Pikeville Medical Center, Pikeville KY. Born December 21, 1956 in Welch WV, he was the son of the late Garfield and Freda Green Hamilton. He was a resident of McDowell County all his life. He loved playing guitar. He was of the Pentecostal Holiness Faith. He was an avid hunter and fisherman. In addition to his parents, he was preceded in death by two Sisters. Survivors include, two sisters, Kimberly Morgan and husband Jamie of Hanover WV, Tamborlee Hamilton of Welch, two brothers, Ronnie Hamilton and wife Tammy of Gary WV, Garland David Hamilton and wife Martie Ann of Bassett VA.
Funeral Services will be conducted Thursday, April 18, 2019 at 12 Noon from the Fanning Funeral Home Chapel in Welch with Pastor Virgil Pete Green officiating; burial will follow at Roselawn Memorial Park in Princeton WV. Friends may call Thursday, April 18, 2019 from 11 A.M. to 12 Noon at the Fanning Funeral Home Chapel in Welch WV. Jerry Farmer, Keith Potter, Jason Hamilton, Brandon Potter, Darrell Spencer, Coty Green, Ben Addair, and Raymond Green will serve as pallbearers. To send flowers or a remembrance gift to the family of Ricky Dale Hamilton, please visit our Tribute Store. "Email Address" would like to share the life celebration of Ricky Dale Hamilton. Click on the "link" to go to share a favorite memory or leave a condolence message for the family.